Over the past 30 years I have worked with Nepalis in the field of gender and education. 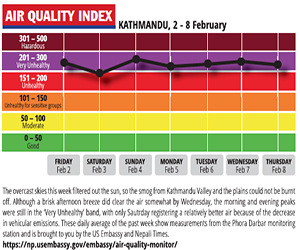 Although a lot of progress has been made, much more needs to be done. The gender movement has grown with events such as 16 Days of Activism to End Violence Against Women and Girls and Women of the World Festival amplifying the voice of activists. One of the initiatives in Nepal is Shrijana Yonjan’s Celebrating Womanhood Award which recognises women in the name of the nine female goddesses and represents powerful women from all walks of life. The award goes beyond the well known faces among women empowerment activists, advocates and NGO leaders to local women from various backgrounds. The award spotlights women who have contributed and impacted their communities and nation, but are not included or accepted as serious leaders and change makers, when in fact they are creating change that everyone is aspiring for. Six journalists fanned out across Nepal to collect stories of 50 women to include in an inspiring e-book containing untold stories of unsung heroes. The digital book will be launched online on International Women's Day on 8 March. Through their work and life they have contributed to shaping the thoughts and actions of generations to come. Their grit has helped bring about a shift in conventional mind-sets and ideologies regarding the role of women (and men) in Nepali society. 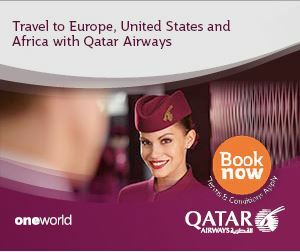 This is the time to promote and benefit from their stories. The book includes a diverse range of experiences of women from different backgrounds, and shows that there is no one narrative of gender or women in Nepal. It also shows that we do not just need to celebrate women who work to directly tackle ‘gender issues’, but should also focus on those, who through their work set a positive role model for young women. These are testaments of the power of individual agency as a means to overcome oppression and stigma on many levels. Sara Parker is a Reader in Development Studies, Sociology at Liverpool John Moores University, UK with a long standing research commitment in Nepal. Zubeda Khatun’s husband supported her to go to school despite the fact that he was ridiculed by the wider community. 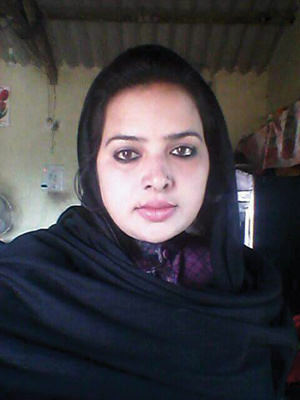 Today, she has not only passed her SLC but plays an active role in the local Muslim Namuna Community group. Her determination shows how important it is for men to encourage and participate in empowering women. 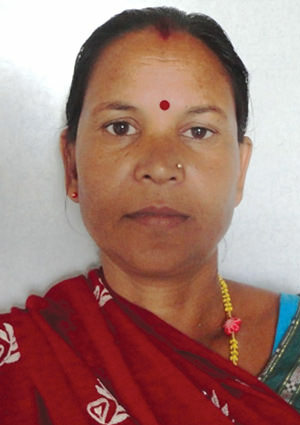 Gulab Devi’s activism in Saptari has played an important role in bringing positive changes in her community by challenging discriminatory daily wages for women. She is active on many fronts and despite not having any education herself, she did not let this stop her from challenging social stigma and working for equality. Ram Devi Tamang overcame the stigma attached to becoming a widow at 22 and started a tailoring unit to earn money to sustain herself and to train other women. 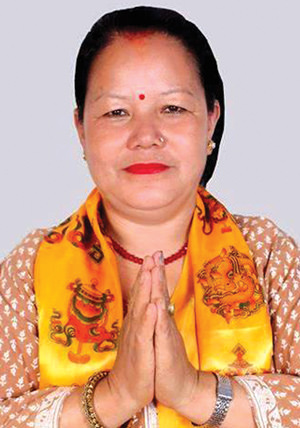 She became a local champion for gender equality and has now become the Deputy Mayor of Namobudha Municpality in Kavre, setting a positive example to all women in Nepal. Laxmi Timilsina was refused to buy fertiliser by a shop owner and this led to her feeling depressed about being treated unfairly. This, coupled with her position in the family led her to start an organic farm movement which serves as an example to all. Her story shows that it is important to work in different sectors like agriculture to make women more independent. 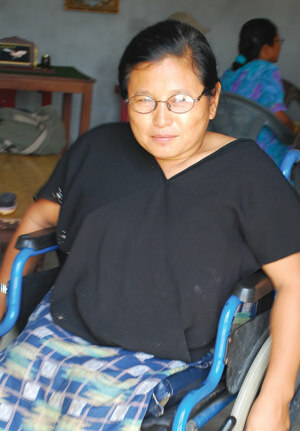 Tripita Lungelee Magar not only overcame discrimination for being crippled due to polio, she also completed her Bachelor’s education despite not having access to a wheelchair at Padma Kanya Campus. 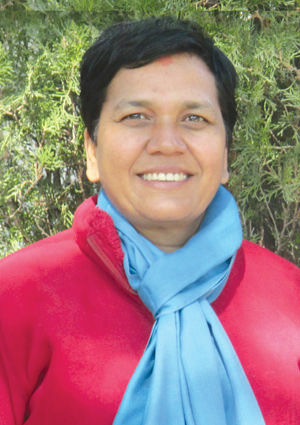 She then worked as a typist before becoming a teacher and establishing the Nepali Chelibeti Apang Samaj (Nepali Women and Girls Disabled Society). 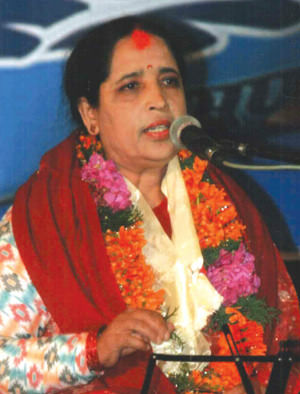 Haridevi Koirala Despite professional singing being seen as ‘below’ her social status she sang, wrote songs that captured the situation of women in Nepal, and has now recorded over 80 albums. Her songs inspire other women by spreading the message of self-reliance and independence. Renu Sharma (above) with Kamala Upreti and Asharshila Barakoti of The Womens' Foundation work to rescue, rehabilitate and counsel women and young girls on a daily basis. Over the last 30 years they have worked tirelessly to help thousands of women in Nepal, yet have remained out of the limelight. Girija Prasad Koirala passed away at his daughter's home this morning after going into a coma.